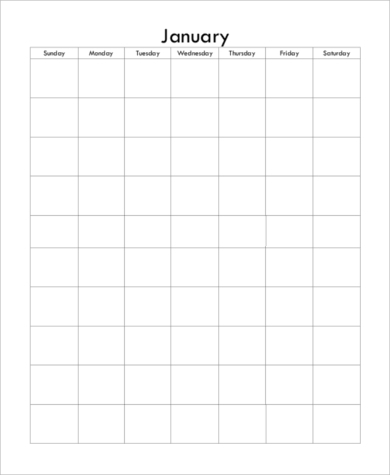 The Free Blank Calendar helps to design own calendars based on your schedule, business requirement, and needs. You can mark important tasks, events, meetings and birthdays. These are available in MS Word and PDF format. In most of the templates, a special space is allotted for notes to note down the events. The templates are designed in different ways. There are many Sample Calendars available such as yearly, monthly and weekly ones and all are available online. 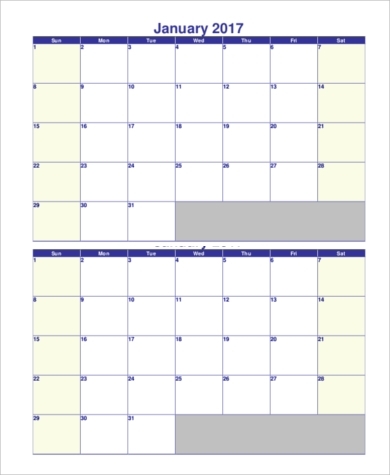 These Free Blank Calendars are used for scheduling purpose by students and employees. These are also available in document formats and this sample can be used to get a broad idea about the design and usage. 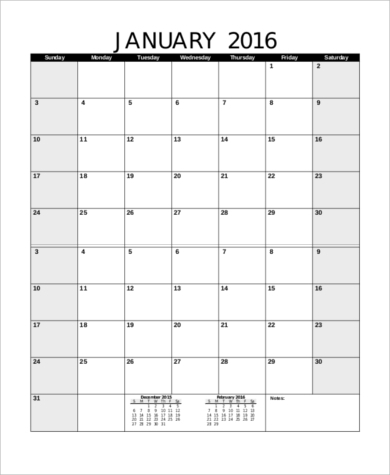 Sample Printable Calendars either daily, weekly, monthly, yearly has to be selected by choosing the start and end dates or by selecting a number of months and number of years in the case of monthly and yearly calendars. The calendar can be saved as PDF and can be printed on A4, A3 sheets. 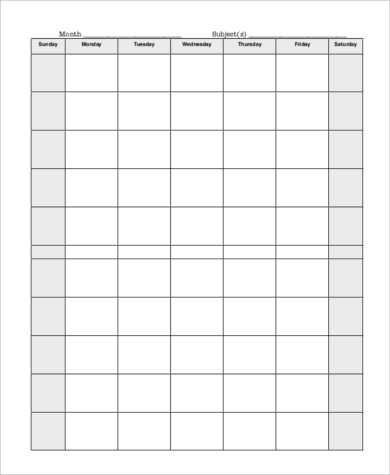 The reading Free Blank Calendar templates can be used in schools in order to keep the track of performance of students by teachers and parents in noting down the book read by the kids, its author and number of pages. What are the uses of these Calendar Samples? The Word Calendar Samples help to maintain the record of pages that have been read by the students through which their overall performance can be checked on a regular basis. It offers lists of various holidays and different religious supported festivals celebrated in more than 17 Countries. 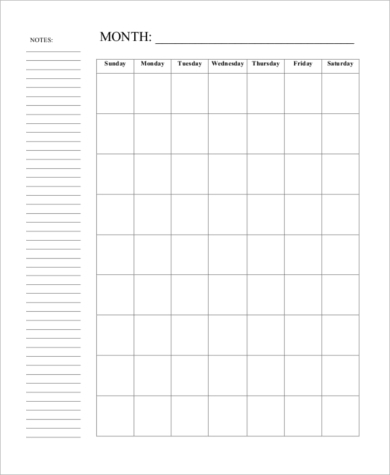 This easy to carry Free Blank Calendar is easy to edit depending on the requirement. These Free Blank Calendars can help you keep a track of events and you can plan your daily activities easily. You don’t need to have a human reminding you about the daily activities as the calendar notifications will do that job for you. 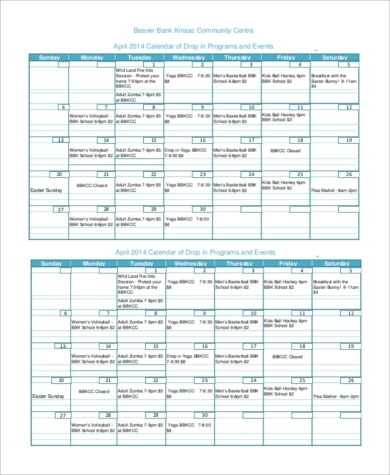 The Printable 2017 Calendars can be used as a school calendar, personal tasks planner, college timetables, and exams schedule based on the list of holidays in 2017. Printable 2017 Calendar is available and is easy to edit. 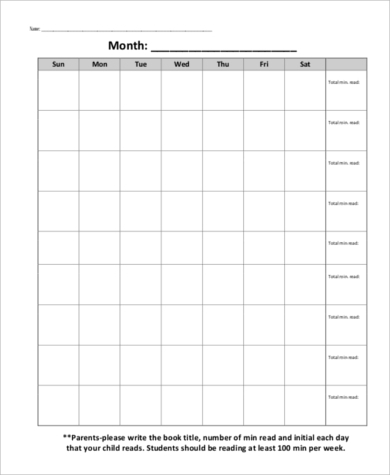 The monthly Free Blank Calendar provides the template of a month. These provide better flexibility in scheduling the things. 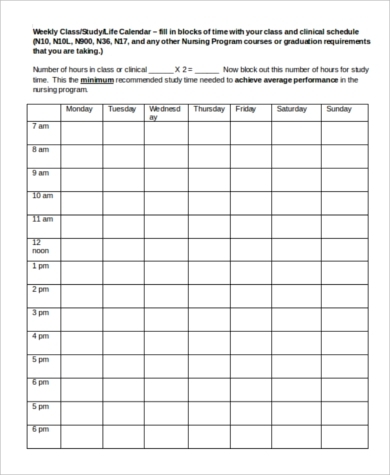 These can be used by players, students who wish to record and check their performance month wise. Printable 2017 Calendar include monthly calendars which can be filled and a hard copy of it can be maintained. The Sample Yearly Calendars can be used by assistants to handle appointments and meetings of their boss in a much efficient manner. These can be more preferred during the planning for a vacation and can be used at home by parents in maintaining a check on payment of bills, PTA meetings, and any other family related occasions. Using calendars will not only make you organized but also help you in remembering due dates and so on, which in turn plays a big role in alleviating the anxiety and stress of meeting the deadlines. Planning efficiently becomes your daily routine. 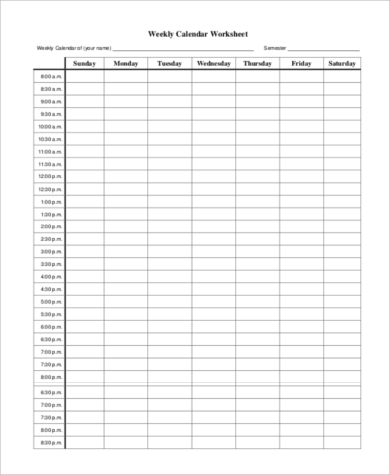 The Printable Blank Calendars can be used as an office planner and even as an annual holiday chart. The Free Blank Calendar is available and is easy to edit. It is flexible to use and is of high display quality. It helps in easy scheduling and thereby makes the overall stress to go down.